A person once told me that ‘You have to try new things’. Now we’ll set aside the irony that at the time of the telling, despite my lower age, I had already tried many more things than this person and we’ll focus on the intent of the statement itself. She was right. There are so many quotes from well-known people past and present about opportunity, carpe diem (seize the day), that I could fill the rest of this post with worthy quotes and have done. Plus there are whole books on this topic, but my take is why I am thankful for opportunity. I would, and did, tell people right on up through my 30s that I was risk averse. I wanted a quiet, pleasant, family-centric life filled with familiar things and regular rituals like gathering for Thanksgiving. My life had taken me to different cities, in 6 states, which stretched my shyness sorely. I learned to advocate for myself and my family because we were far from the support of extended family. I had seen all the bumps and hassles with moving companies and utilities and the like as pure frustration, but looking back these were opportunities to learn to be polite but firm, to probe for mutual solution, to be my own best advocate. 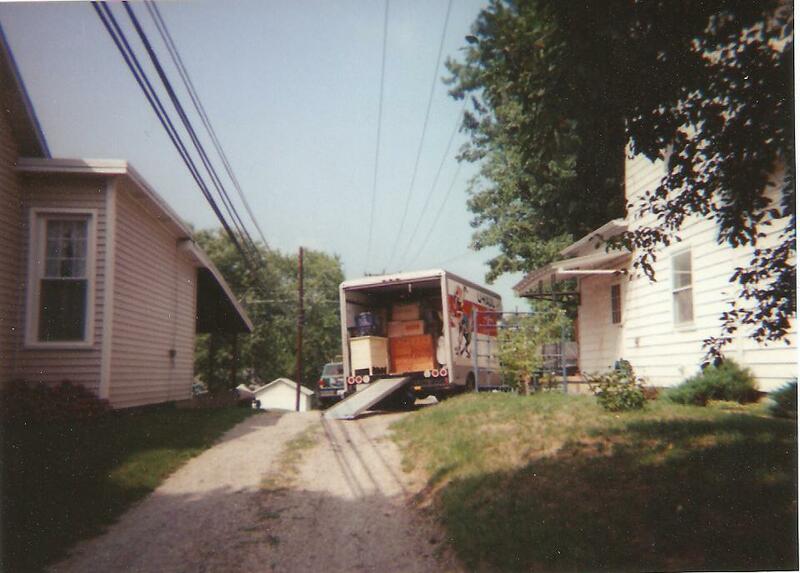 Moving regularly means leaving behind family and friends, again and again. It means being the new person wishing for a friendly face. It means learning how to turn a stranger into a friendly face by taking small steps; by not fearing a roomful of people. Moving taught me the baby steps to networking long before the word’s definition included this facet of making new contacts and turning those contacts into relationships of varying degrees. Back then a network was CBS, NBC or ABC. Moving means getting acquainted with the fear of the unknown. Whether the move is a happy thing, or a necessity it is a change in routine, a new set of places to learn; familiar possessions in new positions and unfamiliar rooms. It shakes things up and rearranges. Complacency is broken, sometimes providing fertile ground for new ideas to grow. ‘I can’t do that’ can be seen from a new angle to realize, ‘Well, I know most of what I need to do that’. Moving gets a person to develop what resilience they have naturally, which is really handy when life offers other bumps in your road. I haven’t talked about opportunity in the familiar manner – get a job offer that you can’t refuse sort of thing. Because opportunity is often much more subtle than that and therefore far more frequent. We aren’t likely to get amazing job offers out of the blue very often, but opportunities probably present themselves almost daily if we pay attention.